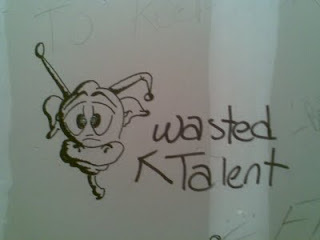 :: Construction Graffiti ::: Wasted Talent. Yes, you're wasting your talent as a construction worker. Get back to work.